SC944-05 is a handcrafted transformer made by Scientific Conversions. The suffix LF stands for Lead Free. Since the Vpp of the original waveform is around 3.3V, with PE65612 (1:1), I have to use resistors to decrease the output voltage level to 600mV. In the test above, those resistors were not removed, I think that's why the peak will be lower than the second one. If the listening experience is better than PE65612, I'll remove those resistors since they are no longer required due to SC944-05's primary/secondary ratio - 2:1. 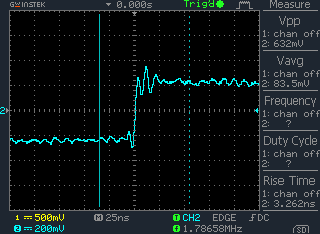 Obviously, SC944-05 has less noise than PE65612 with nearly the same rise time. 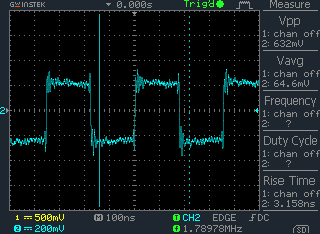 However, the jitter is not something we can see directly from the oscilloscope, but I believe that my ears will tell. The listening experience of the SC944-05 is all positive, better resolution, more clear and accurate bass and the harmonics compare to PE65612. I'm pretty sure that I'l never go back to PE65612 definitely! 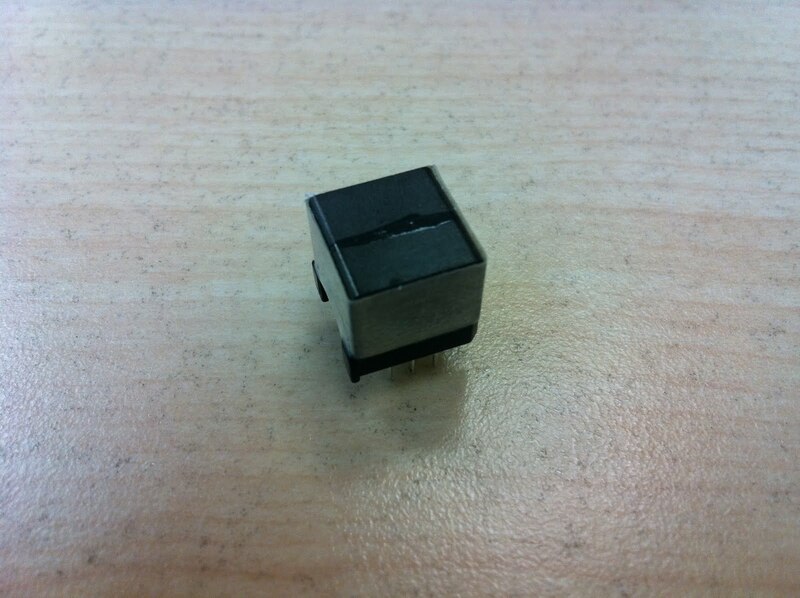 The pinout for SC944-05 is almost the same with PE65612, you can replace Pe65612 with SC944-05 directly except for SC944-05 needs an additional hole for its pin 2. The pin 2 is for "shielding", which connects to the shield between the primary and secondary coils. Th shielding will greatly improve the noise suppression, hence, except for creating an additional hole for SC944-05 while replacing the PE65612, remember to connect the pin 2 of the SC944-05 to the ground of the primary on transmitter side, and to the secondary ground if used on the digital receiver side. PE 65612 is NOT comparable to SC944-05, they are not at the same level! Is the SC944-05 superior to the PE 65612? 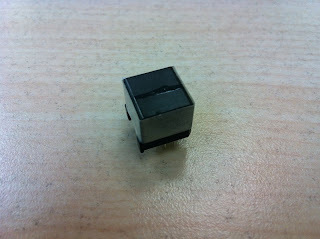 Do you need two pulse transformers, one at the source and one in your dac? Theoretically, yes, you'll need another SC944-05 on DAC side. However, since the DAC side mod will be my next project, currently I'll leave the DAC side untouched until I finished the source side. 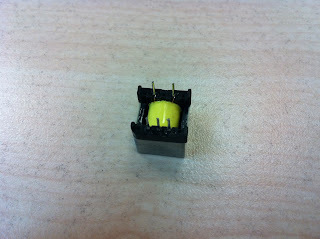 I recall the reason why I didn't use the SC944-05 on the DAC side. My DAC is Pure Audio Lotus-1, on the S/PDIF receiver side, there's no transformer installed, only a cap is used. In my case, I was intended to use the transformer to isolate the source and the DAC, especially the ground loop to avoid the noise (that might appear in the ground as well) traverse my whole system. HTH.